Mrs. Mandy Jane Pierce Young, 72, of Goldonna passed away Thursday, Oct. 5, 2017. Born Saturday, Sept. 22, 1945, in Winnsboro, she was an active member of First Assembly of God Church in Winnfield. She will be remembered as one of the nicest and sweetest and most caring ladies in the world. She truly had a heart of gold. She shared a great love of gospel music and was a wonderful cook who cared dearly for her family. Mrs. Young was preceded in death by her parents, L. E. Pierce and Dovey Carter Pierce; husband, Clay Young; granddaughter, Sydney Young; sister, Dorothy Ezernack; and brother, Danny Pierce. 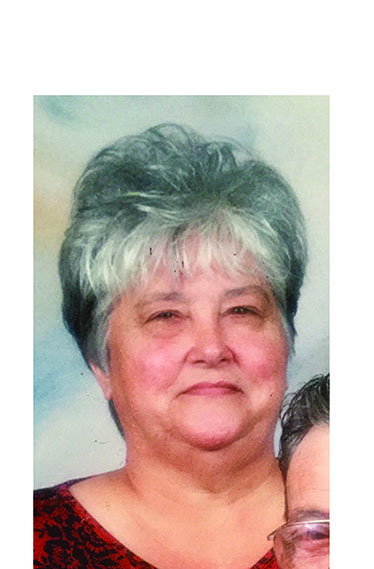 Those left to cherish her memory include her children, Lynne Curole (Clint), Elaine Mizell (Byron), Yvette Hingle, Shelby Martin, Acy Young (Tonia) and Emma Johnson (Adam); 15 grandchildren; 21 great-grandchildren; and one great-great grandchild. Funeral services were at 2 p.m. Saturday, Oct. 7 at First Assembly of God Church with the Rev. Shaun Garner and the Rev. Kenny Johnson officiating. Interment followed in Sanders Chapel Cemetery in Calvin under the direction of Southern Funeral Home of Winnfield. Serving the family as pallbearers were Acy Young, Adam Johnson, Kenny Johnson, Tony Ezernack, Joe Martin, Godfrey Mizell, Nick Mizell and Odell Bishop. Honorary pallbearers were Eric Young, Brandon Young and L.E. Martin.